As the audience journeyed back with Winfrey, who also vividly reminded us to boldly and authentically speak our truth, one couldn't help but pause to give homage to all this amazing woman has accomplished. And while the award highlights her achievements in entertainment, her story really is much larger than her money, her award-winning projects and even her big charitable donations. Oprah defied the odds. She rose up from the ashes of the South, a victim of abuse and the daughter of two unmarried parents who was left in the care of her grandmother on a farm. Even her name was mispronounced. She was supposed to be named after a biblical character in the book of Ruth (Orpah). But in true Oprah fashion, she still rose above it all. She didn't look like any other news reporter on air, yet she prevailed...and went on to become a television icon in Chicago. Even still, negative comments about her nontraditional appearance could still be heard as she climbed up the ranks and into America's hearts. By no means America's golden child, she kept following her calling and grew into daytime TV's beloved. Regardless of what the crowds said, this woman continued to break down barriers and ceilings, creating her own network and entertainment company. As her words continue to resonate with us after the Golden Globes, her life should remind us all to take a chance, follow our guts, and tell our truth as boldly as we can. 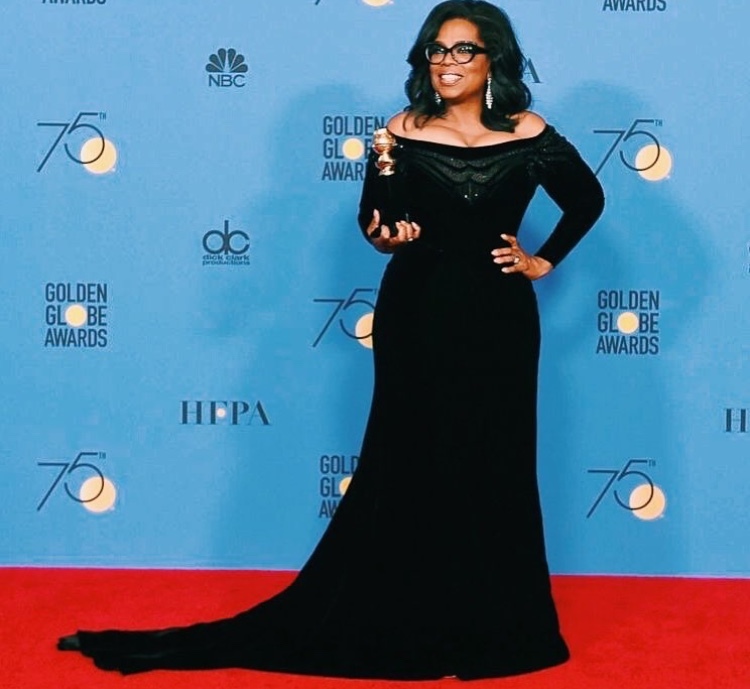 Oprah is more than a model--she embodies magic for Black girls and every other little girl with a dream in her heart.